The aging of America has created a growing demand for senior care services. This is great news for those who feel called to become caregivers. According to the Bureau of Labor Statistics, the job outlook for home health and personal care aides is expected to grow 41 percent (much faster than average) from 2016 to 2026, creating 1,208,800 new caregiver jobs. In the state of Washington, home care employment levels have been projected to increase by 28 percent between 2014 and 2024. Complete a home care aide application, including the Employment Verification form. Undergo a Department of Social and Health Services (DSHS) criminal background check. Complete a 75-hour basic training course approved by DSHS. 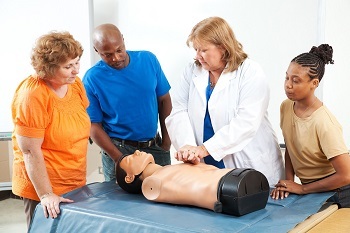 Pass the home care aide knowledge and skills certification examinations. You are eligible to provide care without certification as long as you submit your completed application and fees within 14 days of your date of hire and you complete all training within 120 days of your hire date. The deadline to become certified as a home care aide is 200 days from the date of hire. If you fail to meet these deadlines, you are no longer eligible to provide care and must stop working until you receive home care aide certification. Orientation training consists of two hours of training regarding the caregiver’s role and responsibilities, the care plan and care team, client rights, documentation and reporting, and basic communication methods and techniques. Safety training is three hours long and consists of basic safety precautions, emergency procedures and preparedness, infection control, body mechanics, worker safety, accident prevention, hand washing, fire safety, and fall prevention. Core basic training consists of 40 hours of long-term care core competencies training, which you’ll need in able to perform your duties effectively. This course is a combination of instructor lecture, activities, and hands-on skills practice. Students also receive information on the state certification testing process during this course. This 30-hour training addresses the unique care needs of specific populations a caregiver may work with including those with dementia, vision loss, diabetes, heart disease and a number of other conditions. For those interested in learning more about becoming a certified home caregiver, we offer an outstanding caregiver training program. Please contact us today to learn more!